Author icepuddlePosted on November 28, 2013 December 4, 2013 Tags Fun Stuff, Photo Gallery, Road TripLeave a comment on A Thanksgiving Special! The week began with the second matchup against Hartford in 5 days, this time on home ice. 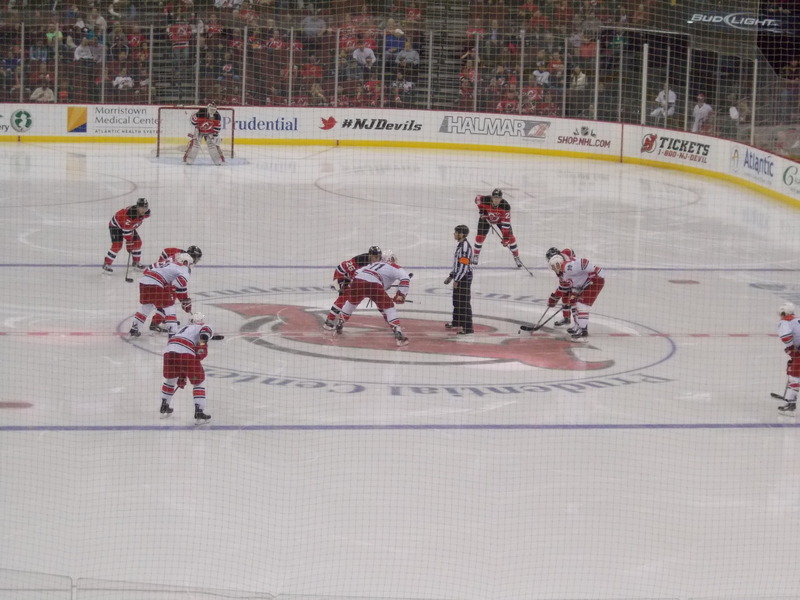 After an uneventful first period that only saw one penalty call, the Devils took control in the second. Stefan Matteau scored his second of the season to put Albany on the board, then Reid Boucher followed with his sixth of the season halfway through the period. Brandon Burlon scored his first of the season on a power play just shortly into the third period for a 3-0 lead. And that was all Keith Kinkaid needed, as he continued his hot streak. 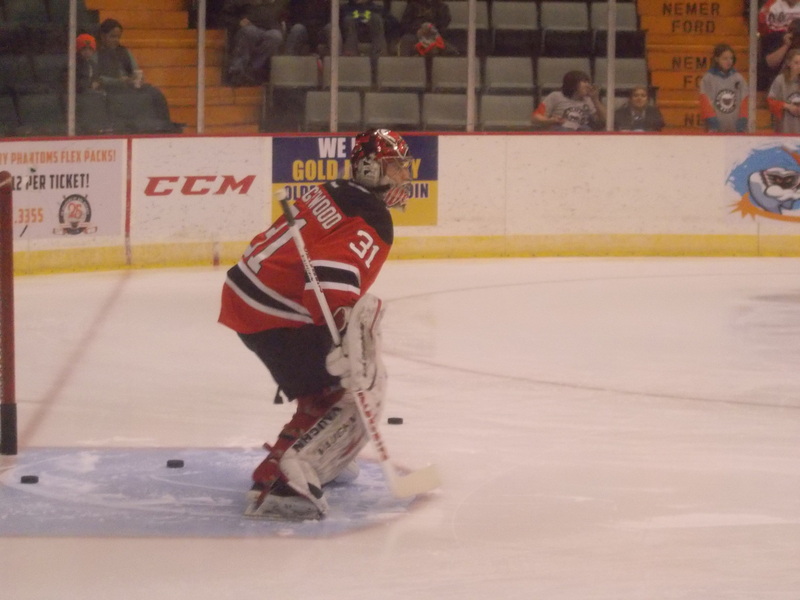 He stopped all 24 Wolfpack shots (including 11 in the third period while the Devils only had 5) in notching his second shutout against Hartford in less than a week. 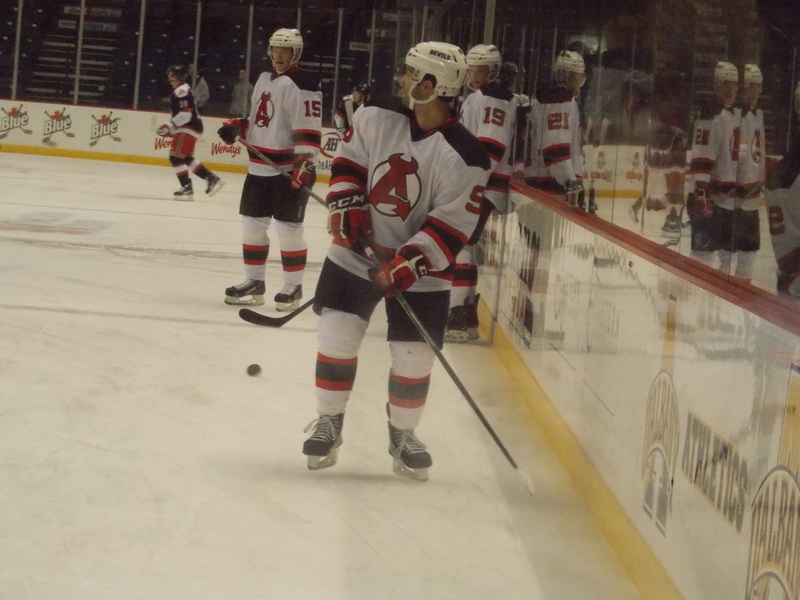 Joe Whitney added two assists, while 3 other Devils registered one assist each. Jon Merrill returned to the lineup and finished at an even rating. 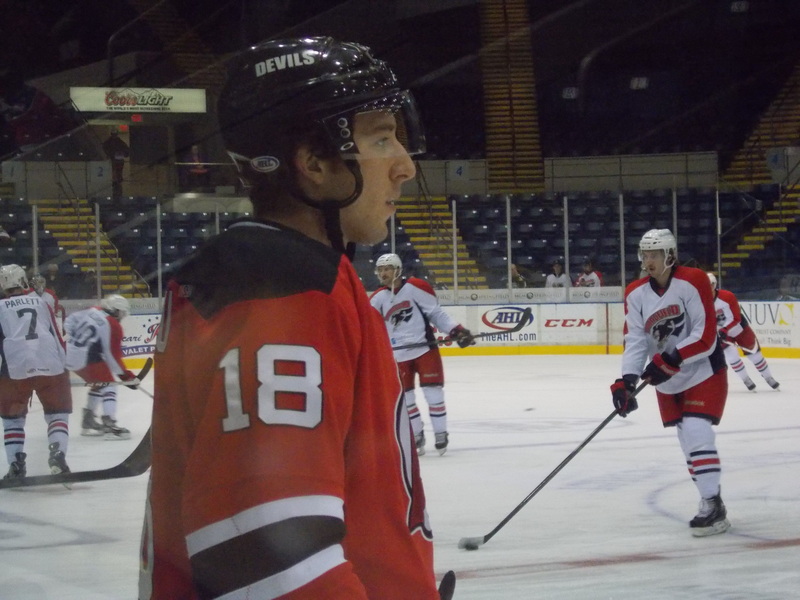 For the first time in what seemed like forever, an Albany team was playing for first place in the division, as the Devils traveled east on the Mass Pike to take on the Falcons for the first time this season. And in the first period, it seemed like the guys forgot to bring something…everything they’ve done in the past week. Jonathan Marchessault would score on a power play just two minutes into the game for a quick 1-0 lead. The Falcons would add to it when Keith Kinkaid left his crease to play the puck, just long enough for it to get turned over and Dalton Smith shoving it into the empty net to make it 2-0. It didn’t look good at the start of the second when Ryan Craig scored just 17 seconds in for a 3-0 lead. But Albany would start to show some signs of life. Reid Boucher would score his seventh to cut the lead to 2, then Kelly Zajac followed later with a power play tally to get back to within a goal. But Marchessault would strike again in the third on another power play goal to put the deficit back to two. Tim Sestito would bring the Devils back to within one with his third, but the Falcons would seal it late with an empty netter to break the Devils four game winning streak. 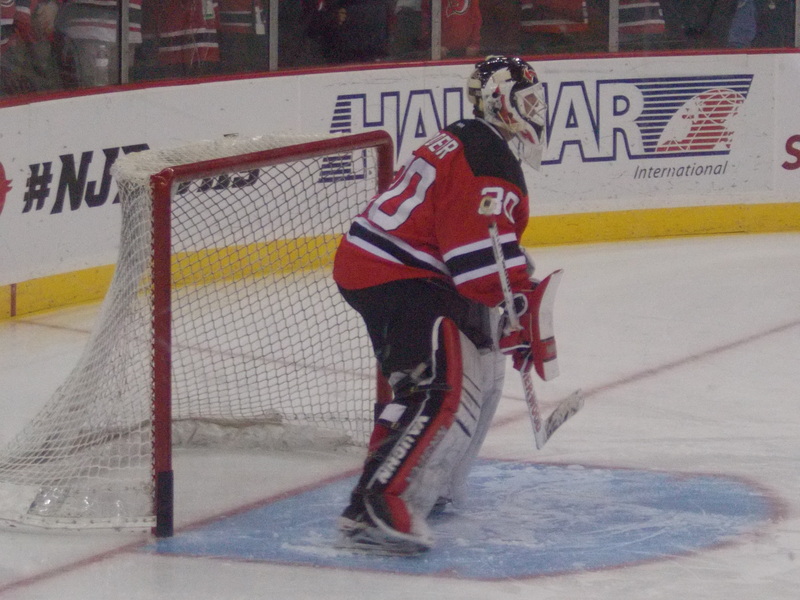 Not the greatest night for Kinkaid in net, as he stopped 18 of 22 in just his second regulation loss of the season. 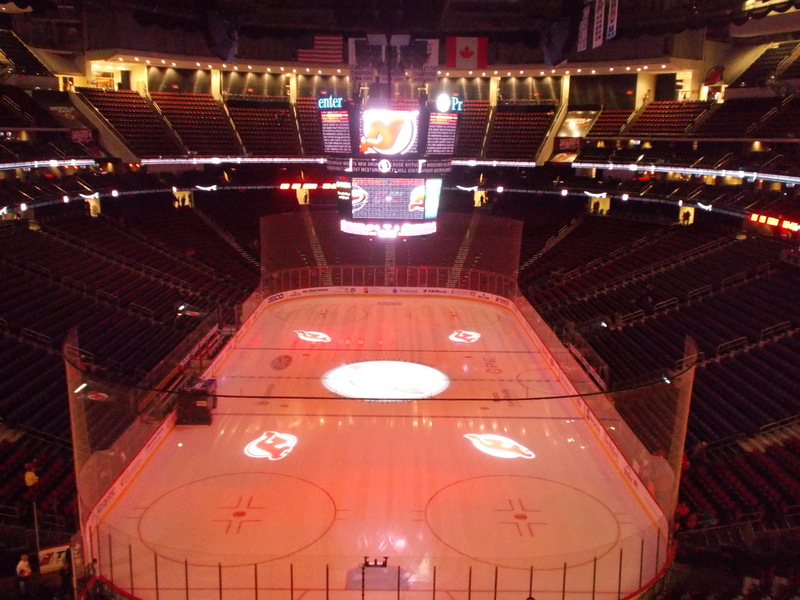 Five Devils would record an assist. 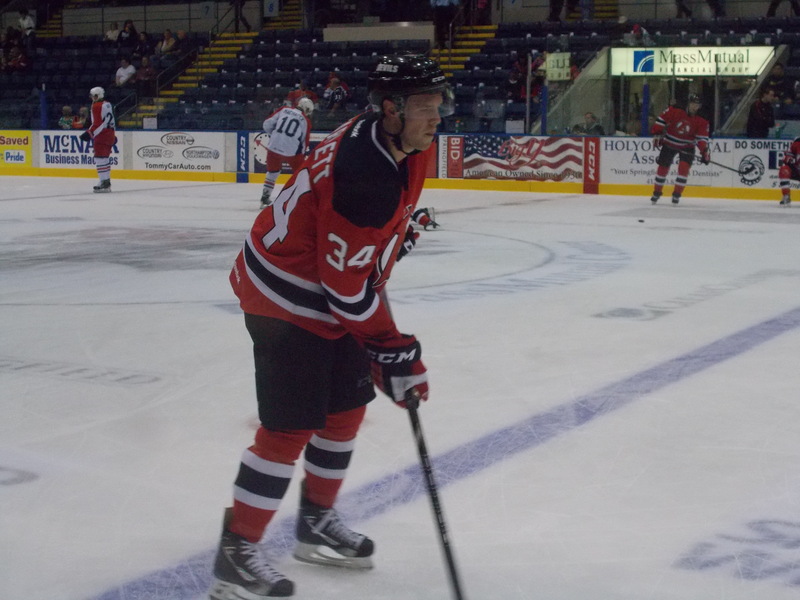 The Devils finished out the week with their second trip in 3 weeks to Glens Falls to take on the Phantoms. 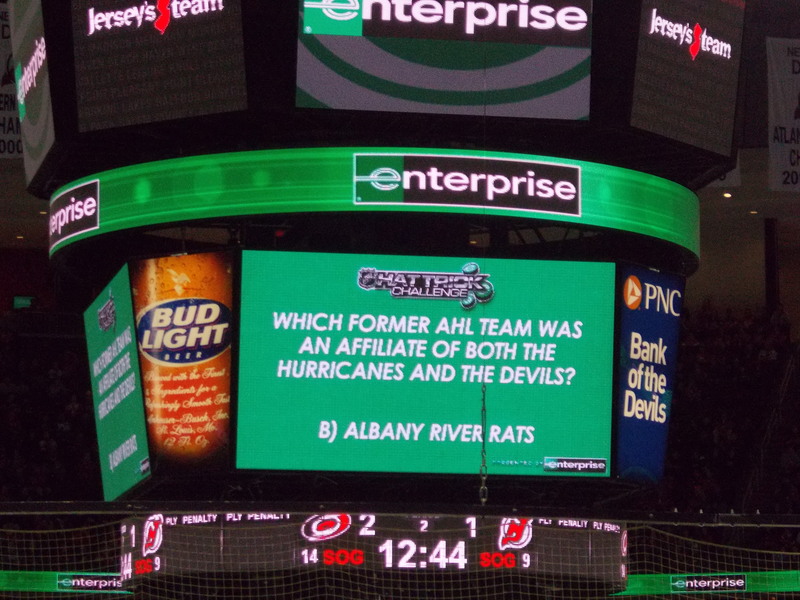 Unlike the night before, it was Albany getting on the board first early on. Joe Whitney scored his 8th for a 1-0 lead, and special teams killed off 4 Phantom power plays. Second period the Devils put the game away, scoring 4 times on 14 shots. Mike Hoeffel started the onslaught with his third of the season for a 2-0 lead. Brandon Manning would cut the lead in half, then Reid Boucher scored his 8th on a power play to restore the two goal advantage. Stefan Matteau would add his third less than a minute later. Matt Mangene would bring the Phantoms back to within two 30 seconds later, but Tim Sestito would put the exclamation point on the period with a power play goal less than a minute after that for a 5-2 lead. 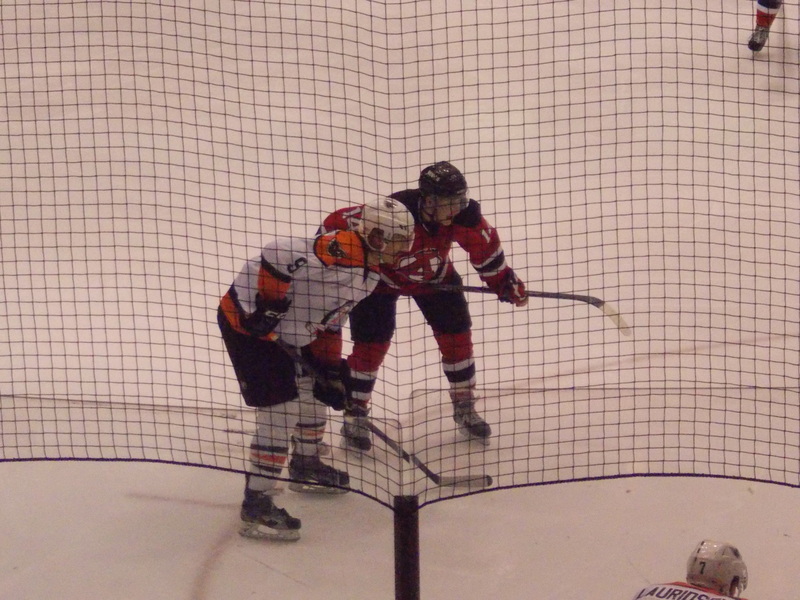 The Phantoms would switch goaltenders to begin the third–Yann Danis in for Cal Heeter–and he managed to stop all 8 Devil shots. Bruno Gervais would score on a power play to bring Adirondack back to within 5-3, but that’s all they could muster. So they settled for a couple of scrums around Scott Wedgewood’s net, resulting in a couple of ejections for arguing with the ref. Wedgewood fared well in his first start in two weeks, picking up his fourth win and stopping 24 of 27 shots. 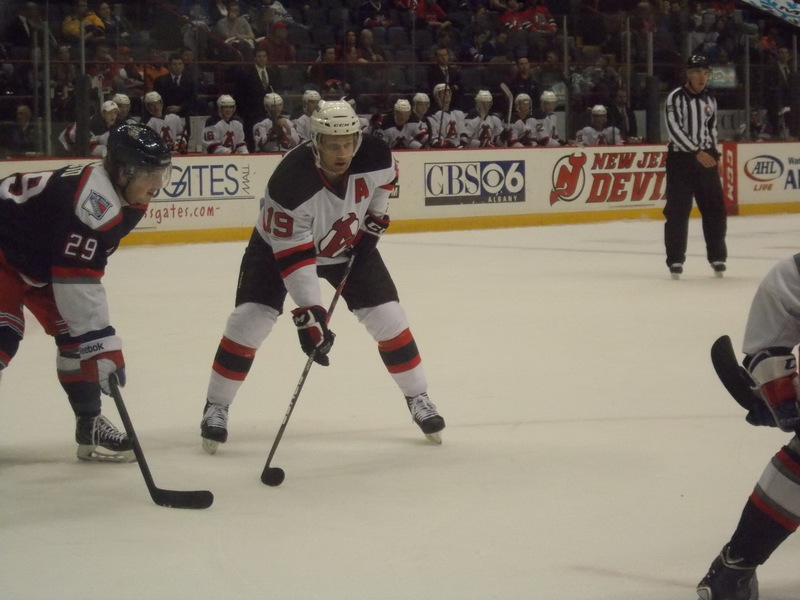 The line of Whitney-Sestito-Matteau all produced multi point games, while three other Devils had one assist each. The winner by default, because this was the only one. This was a tough decision for me, with a few players having very good weeks. After going through game stats, I’m giving it to Reid Boucher…3 goals, 2 assists. Honorable mention to the newly formed line of Joe Whitney-Tim Sestito-Stefan Matteau, with Matteau stepping into Rostislav Olesz’s spot and starting to pick up his game. Not a good week for the Jackals, who are in the midst of a 3 game home series against Kalamazoo. 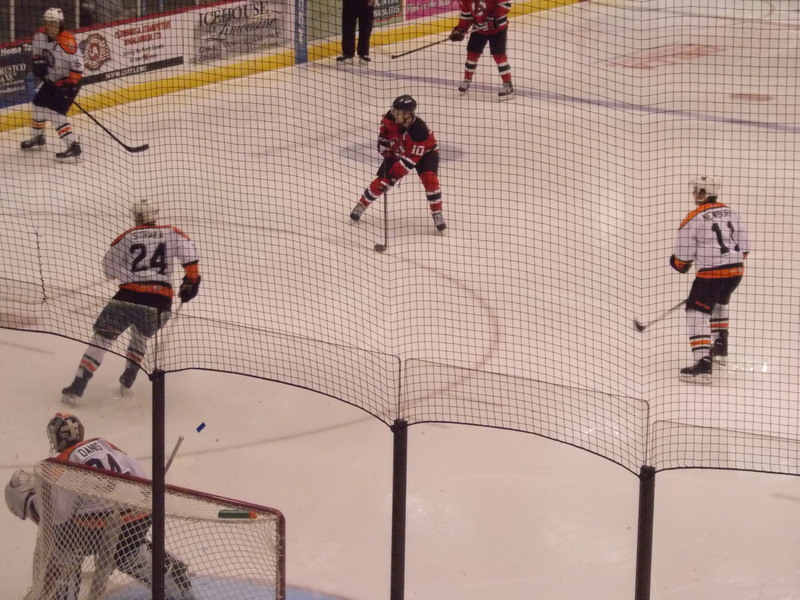 They dropped a 6-5 shootout on Friday night, followed by a 2-0 shutout on Saturday. Maxime Clermont took the loss in the shootout on Friday, stopping 28 of 33 shots in 65 minutes, but gave up 2 goals in the shootout. He has yet to record a win this season, going 0-4-0-1 with a 3.98 GAA. Joe Whitney is tied for 9th in the league in points with 20. Reid Boucher is tied for second in the league in shots taken with 63. He is also tied for third among rookies in points (16), goals (8), and power play assists (6), and tied for first in shots taken. 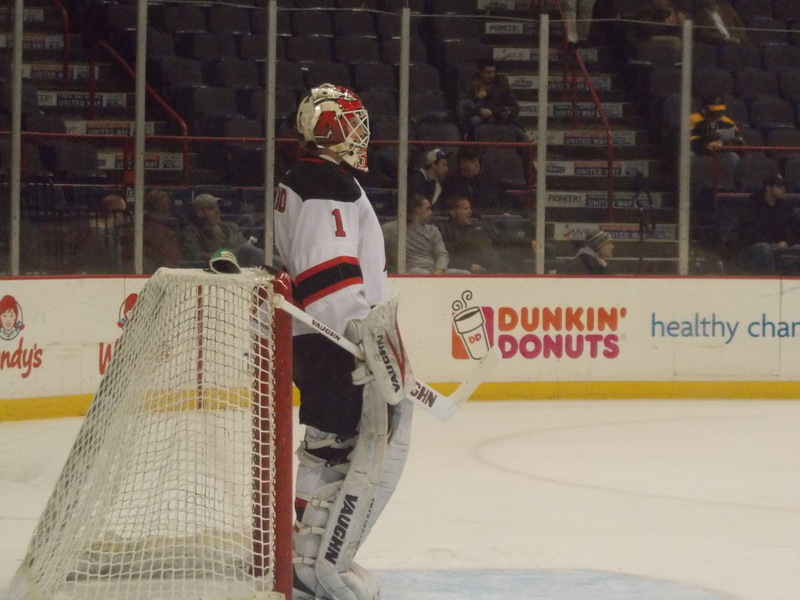 Keith Kinkaid is tied for fourth among goaltenders with a 1.97 GAA. 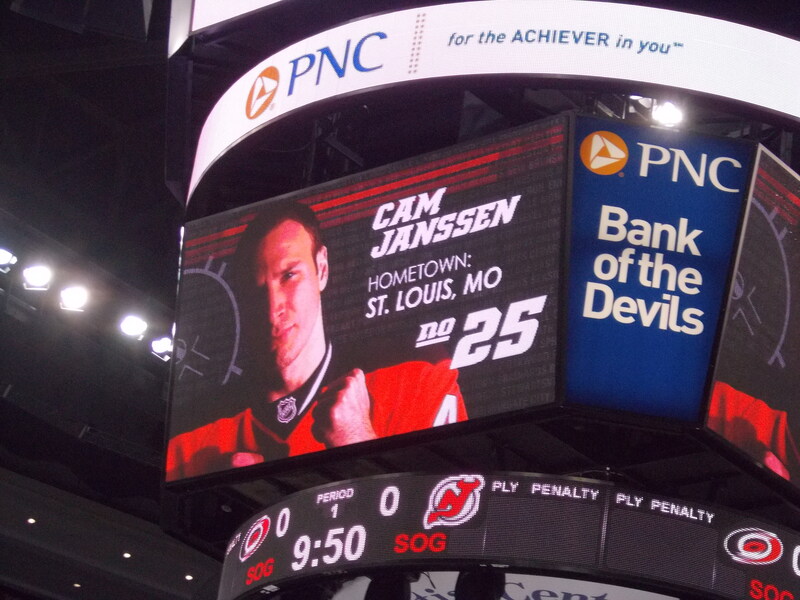 He is also tied for first with 2 shutouts. 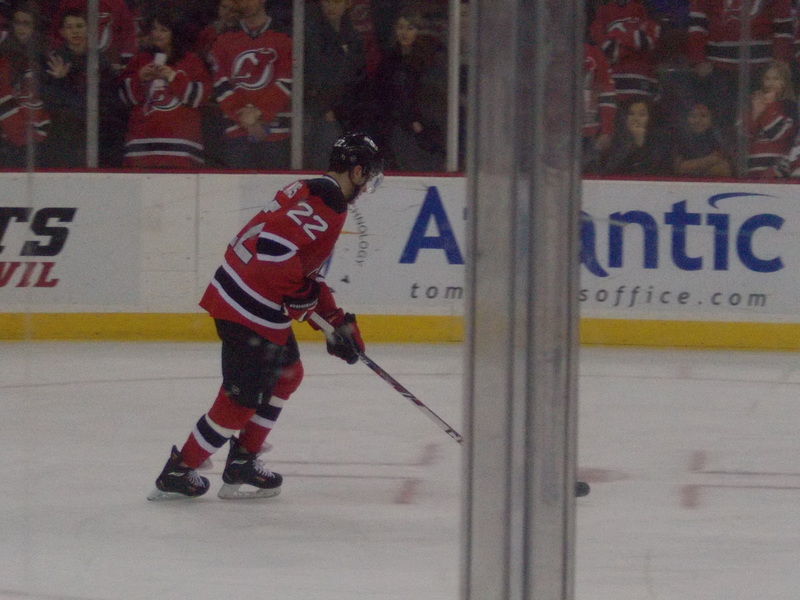 -Still only two players out with injuries, Darcy Zajac and Scott Timmins. Dare I say, status quo for both? Only two games coming up this week, both at home. 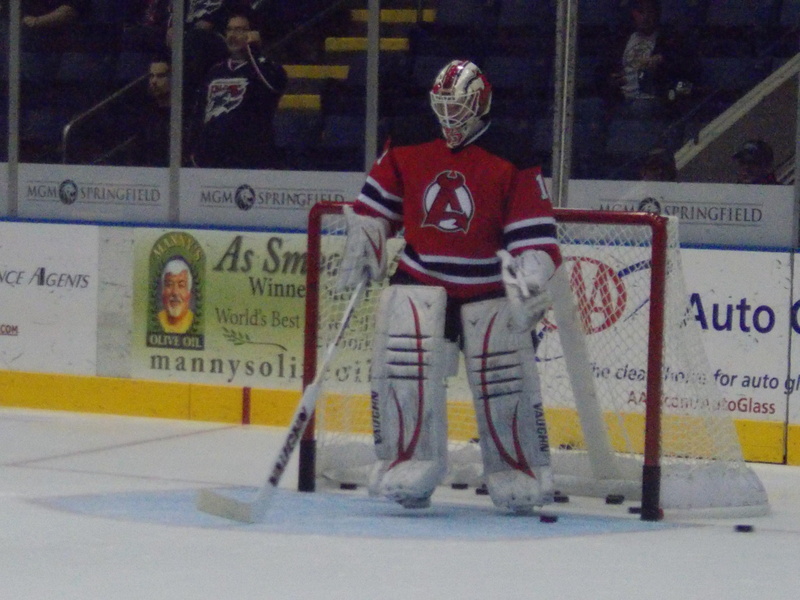 On Friday evening, Albany takes on Adirondack for the fourth time in the month of November, followed the next afternoon by a visit from Bridgeport to close out the month. Where: Glens Falls Civic Center, Glens Falls, NY.